This “summit” was a large panel that consisted of: Mark Coker of Smashwords; Robin Cutler of IngramSpark; Helen Sedwick; Andrew Burelson of BetaBooks; Brooke Warner of She Writes Press; Karla Olson of Book Studio; and Angela Bole of IBPA. From there the session mainly opened to questions. One author who had published with Author House asked why he’d heard they were such a bad company, especially since he was very happy with the results? Helen Sedwick, with her legal savvy, pointed out that the contracts from Author House and Author Solutions and their subsidiaries are simply not very author friendly. Authors have difficulty getting their rights back and don’t own their ISBNs. Mark Coker said the Author House and its ilk overcharge for services and pressure authors to buy more and more expensive marketing packages. So then the question naturally became: What sets a hybrid publisher apart from a vanity publisher? Angela Bole noted that IBPA is working to standardize a criteria for hybrid publishers, but the key difference is that a hybrid publisher will still have a submission process and standards for what it published. Vanity presses accept any and all content regardless of how good it is. So long as the author is willing to pay, they’ll print it. Moderator Carla King pointed out that authors should always own their own ISBNs. Buy them from Bowker, or IngramSpark will also sell you an ISBN that you will own. DON’T take the free ISBN from Amazon/CreateSpace. If a vendor refuses to use your ISBN, that’s a red flag. Always look at the vendor and its motivations. Mark Coker said, “Anyone can publish a book, but do they help you sell it?” In other words, their money should come from selling books, not selling services to authors. The next question that cropped up: What is hybrid publishing? As co-founder of hybrid press She Writes Press, Brooke Warner responded that hybrid presses usually have a mission of some kind, that they vet the content (that is, there is a submission process), and they offer distribution of some kind that sells to the market. An author asked which path was best for those who want to control their content. In truth, if you want control over your work, you probably want to self-publish. But remember that having control means also having full responsibility for marketing and every other aspect of publishing. The wonderful thing about being an author in this day and age is that you can write a book and 100% be sure that it can be published. Maybe not by the publisher you’re hoping for, but there is a path to publishing no matter what—if you want to take that path. There came a question about BetaBooks. 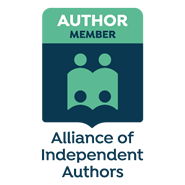 This is a new site that allows authors to see the progress their beta readers are making on their manuscripts, which can help pinpoint engagement. It also helps the authors compile the feedback and act on it. This ultimately allows authors to find fans and build “street teams” for their books. How to find a publisher or know whether the publisher is any good? Then it was time to address the elephant in the room: What about Amazon? Mark Coker noted that Amazon is the largest retailer in the world, and authors do need to be on there. However, authors shouldn’t be dependent on Amazon; it shouldn’t be their only revenue stream. Is there still a stigma attached to self- (or indie) publishing? How does an author find readers? A good publisher will create a plan with you. Distribution is also something you want to look for in a publisher. With 1.5 million books being published every year, discoverability is incredibly difficult. So there it is, you’re first correspondence course in this year’s writing conference. Questions? Comments? Let’s hear ’em!